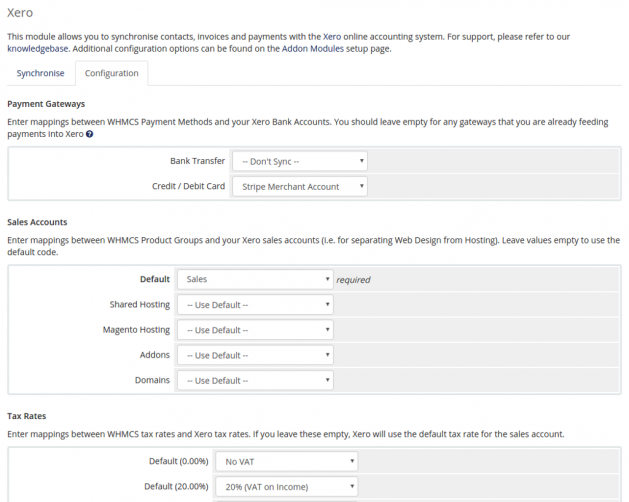 Integrate WHMCS with Xero to keep your billing system and clients in sync with your accounts. Our 5 rated*, Xero recommended module sends Contacts, Invoices & Payments and is commercially supported by our team in the UK for just £49.99 + any applicable VAT per annum. This is a fantastic module, saves so much time and has been very well put together. Great help from support too if you need it. Fully recommend. I don't normally leave reviews, but in this case I absolutely had to! This is honestly one of the most incredible WHMCS products / integrations out there; not just the way in which the module functions and makes our operation slicker; but also the way it is supported. If you're looking for a Xero module addon, look no further! This module has saved us so much time for our growing business. The support is also fantastic, although I must say we haven't really had any problems! We love this module, and the great support! It does exactly what we want, saving untold hours of bashing our heads against a brick wall. It makes everything simple and frictionless. We've used this plugin for quite some years now and it just works, period. More importantly though, in the rare instances when either a Xero or WHMCS update creates some problems, John has always been only a few minutes away providing very proactive support which never failed to sort out our issues. Great product and works great. 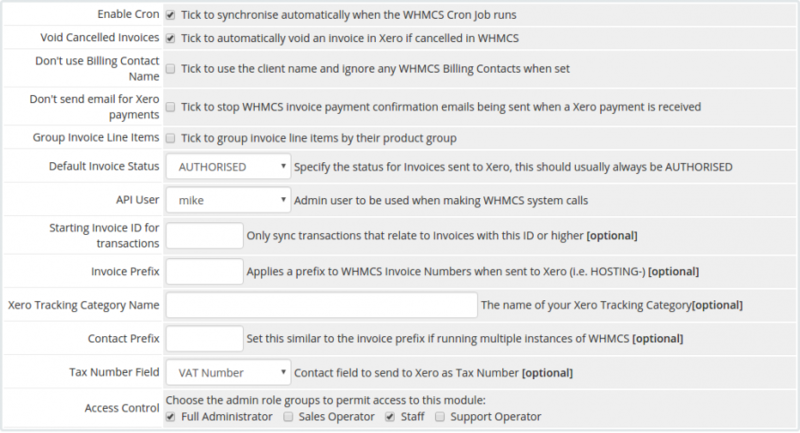 Support is second to none and a must have if you use WHMCS and Xero. Would highly recommend to anyone. We have been using this module now for around 18 months and it has made life much simpler! Now everything done in WHMCS ends up in our Xero accounting package! Could not be happier with it fully recommend. Why does this say $49.99 but when you go check out the price jumps to £59.99 paid Annually. Thank you for the explanation on the price difference. I will be purchasing this later this week. Hi Kevin, the module is £49.99 GBP + any applicable VAT. We have spoken to WHMCS about updating their marketplace to allow us to use GBP prices as we don't sell in USD. We've been using this extension for a couple of years now and it works really well. 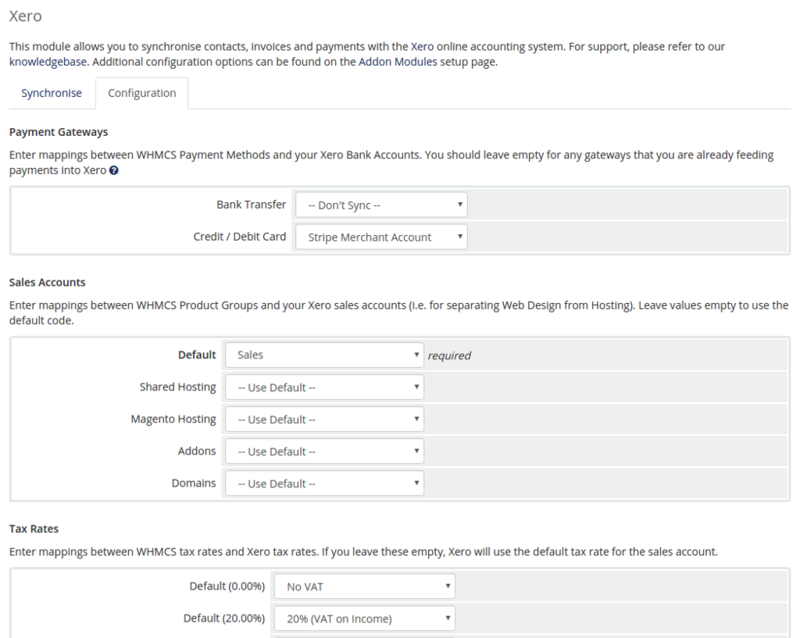 Life couldn't be easier, whatever we do in WHMCS get's synched to our Xero accounts and payment marked back to WHMCS. Such a time saver!